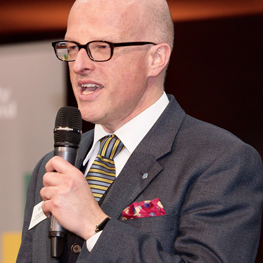 Christian Dreyer CFA is CEO of CFA Society Switzerland, the independent non-profit alumni organisation of 3000 CFA Charterholders in Switzerland. In the past, he held various roles, ranging from managing his own advisory firm specialising in pan-European pension funds to business development for JP Morgan, CFO at an IT security outsourcing provider and head of research at a cantonal bank. Chris is also an active volunteer with board roles at the Swiss Finance + Technology Association as well as XBRL CH. Chris holds a Master’s Degree in political economy from the University of St. Gallen HSG in Switzerland and a Master of Laws degree from Edinburgh University (UK) as well as the CFA designation. He is Swiss citizen and lives near Basle, Switzerland. His twitter handle is @CFA_CH.